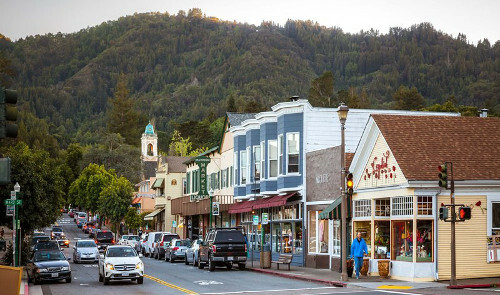 Larkspur is located north of San Francisco near Mount Tamalpais. Intersecting Larkspur’s downtown is Madrone Canyon, a residential area amidst a redwood grove. Downtown features well known spots such as: The Lark Theater, Left Bank, charming window shopping, as well as award winning schools. Larkspur is a quaint locale with the charming atmosphere of a small town.